Jobs Description: Pakistan Army Jobs April 2019 can be viewed in our site. 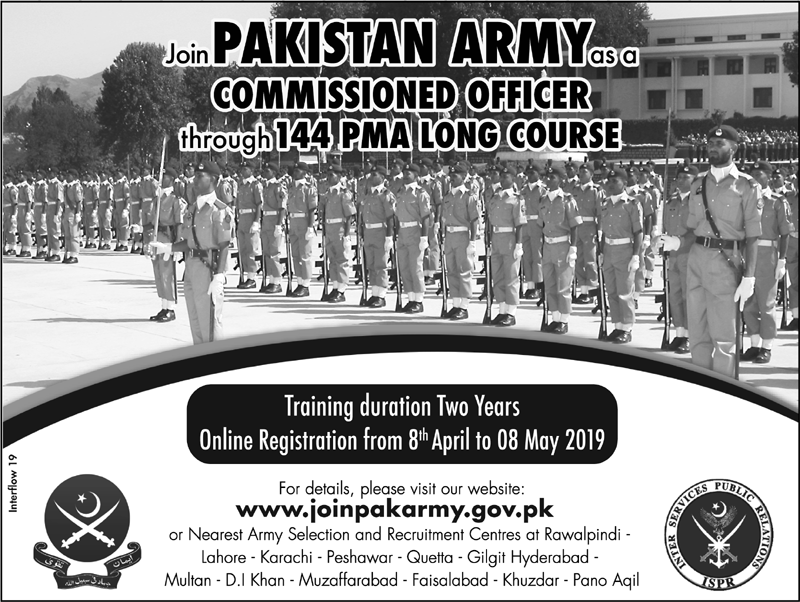 Join Pakistan Army as a Commissioned Officer through 144 PMA Long Course. Online registration is started from 08 April to 08 May 2019. Pakistan Army is one of the biggest and powerful Armies in the World. Pakistan Army has required the applications for the following jobs. How To Apply: The interested candidates may be registered themselves by visiting Nearest Army Selection & Recruitment Centres. The interested candidates may also apply online through the Pakistan Army official website.